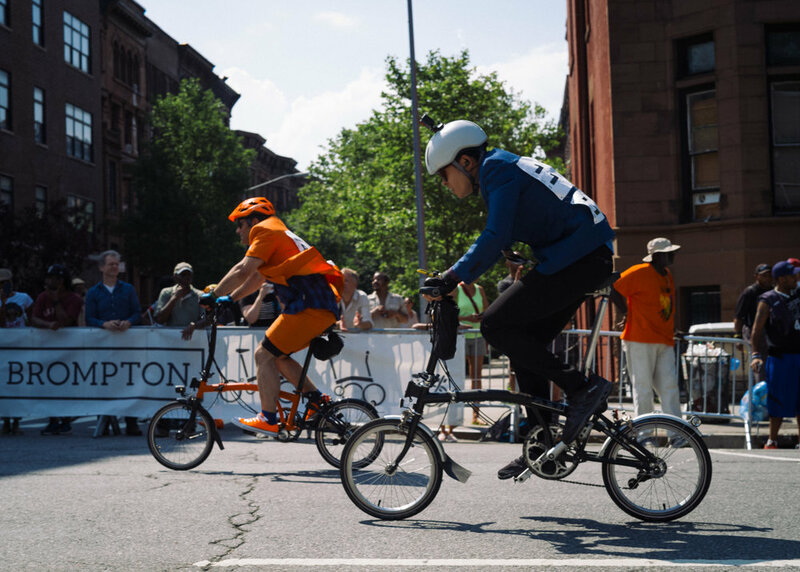 The 2017 Brompton World Championships (BWC) USA Qualifier served as the latest addition to the forty year legacy of this past weekend's Harlem Skyscraper Cycling Classic. 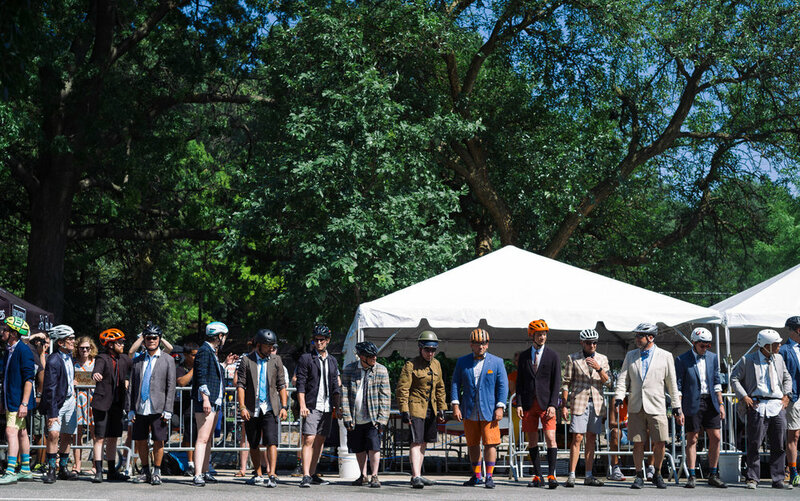 With a sold out field of more than one hundred racers the BWC was not just the largest race of day but certainly the best dressed. 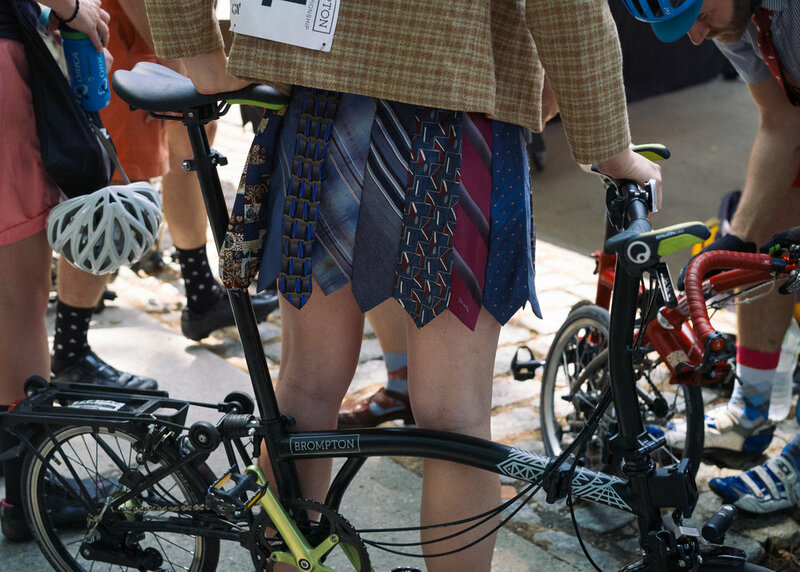 For those unfamiliar with the Brompton World Championships the rules are straightforward: competitors must ride a Brompton folding bicycle, no visible lycra is allowed and suit jackets, collared shirts and ties are required. 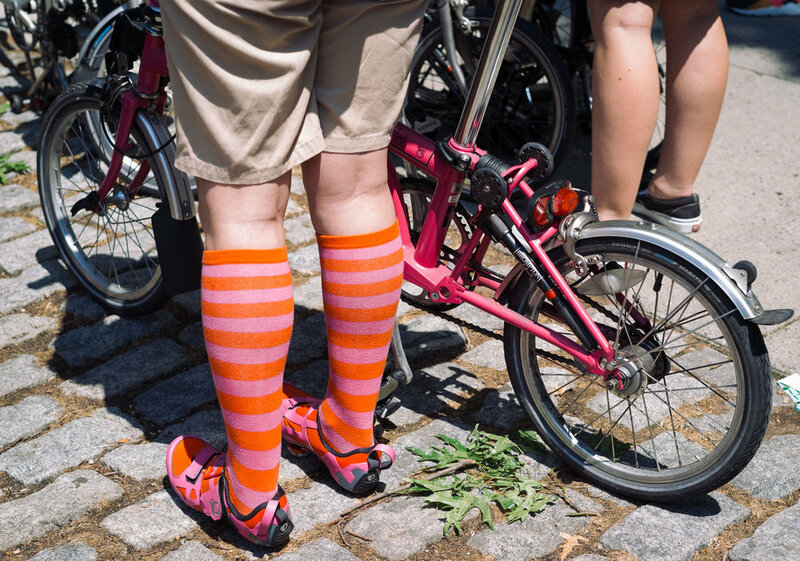 These rules lend themselves to a huge array of attire choices: from WWI army garb to helmets bedazzled with flowers and even a skirt fashioned from ties, the Harlem edition of the Brompton World Championships had it all. 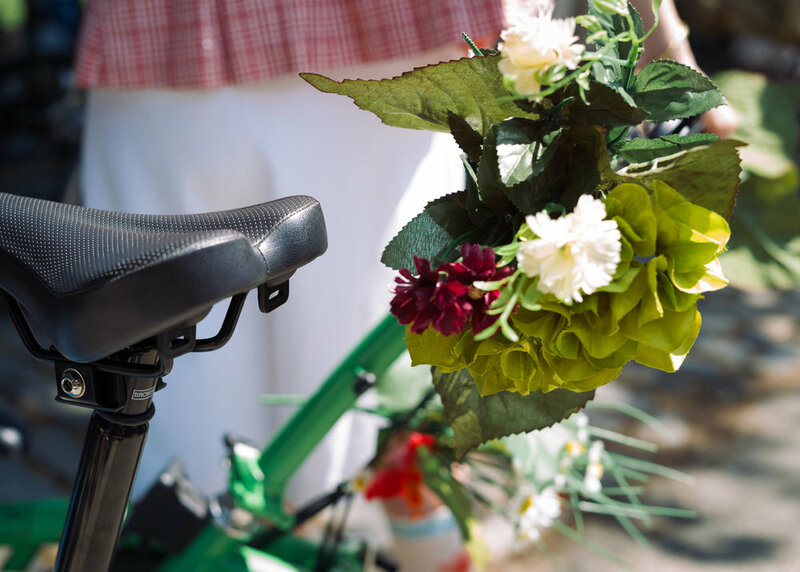 There were also big prizes on the line as part of the event, though the competitions were more varied in their motivation than your traditional 'first across the line' bike race with awards for the best dressed competitor and a team competition. 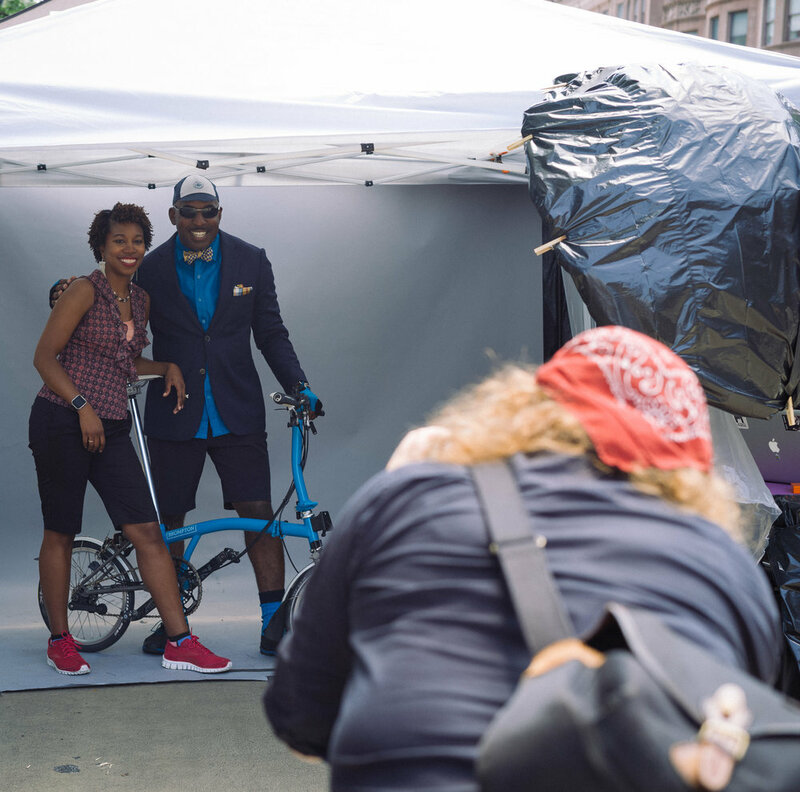 In addition to $3,000 in prizes, the fastest male and female riders were awarded airfare to the London Final of the Brompton World Championships. 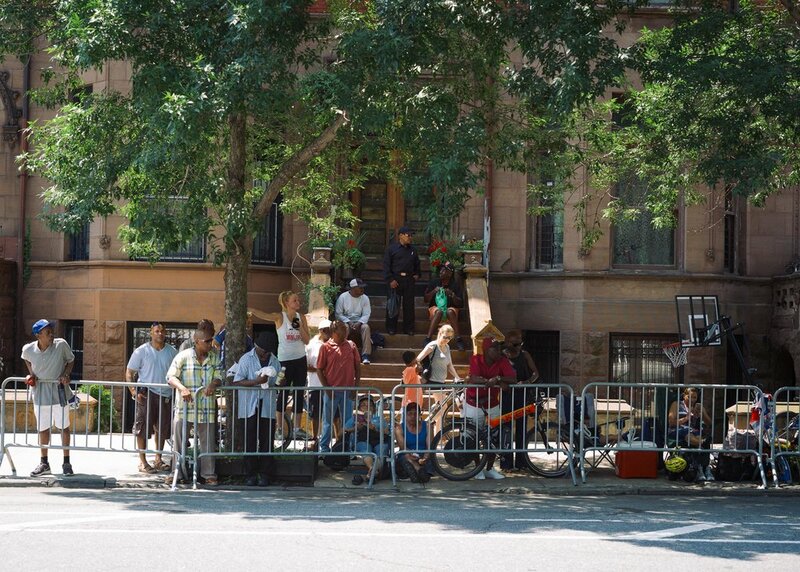 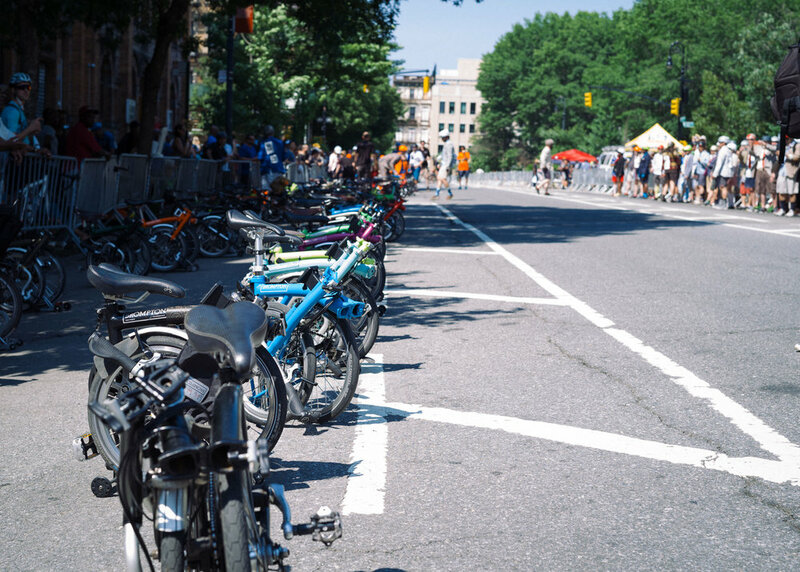 Race day in Harlem brought high temperatures and race delays that had BWC competitors shedding layers and seeking shade around Marcus Garvey Park. 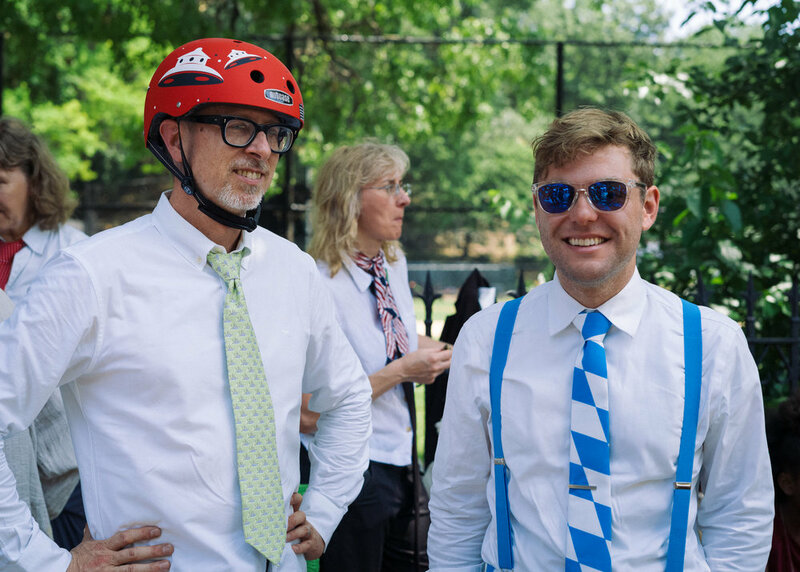 To Be Determined's own Richard Spencer, a Vice-President at Brompton, was on hand throughout and helping keep things organized ahead of the famous Le Mans style start that kicks off every Brompton World Championship event. 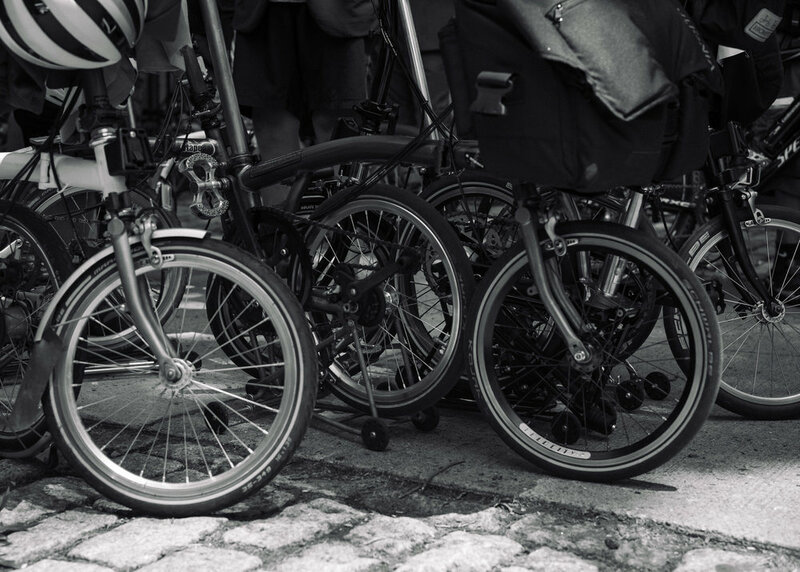 This meant competitors had to unfold and assemble their bikes prior to taking off on two wheels. 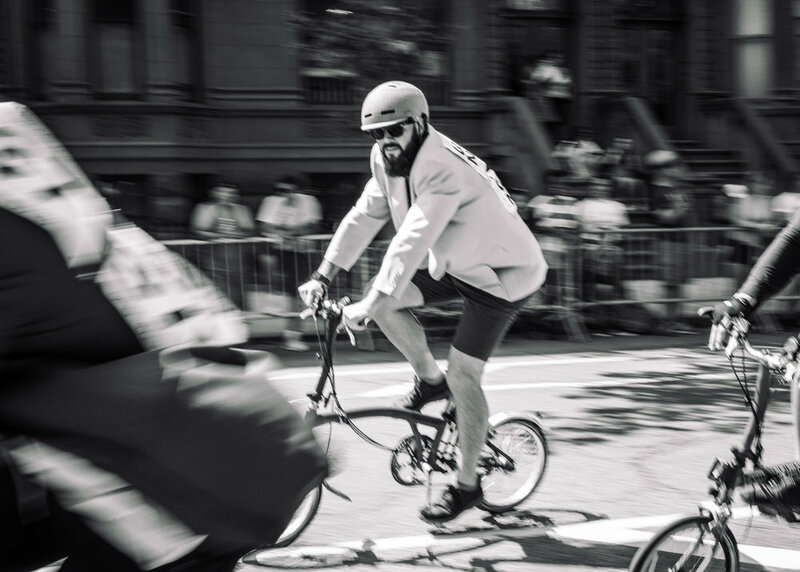 When racing got underway it was two locals pushing the pace for the Men's competition. 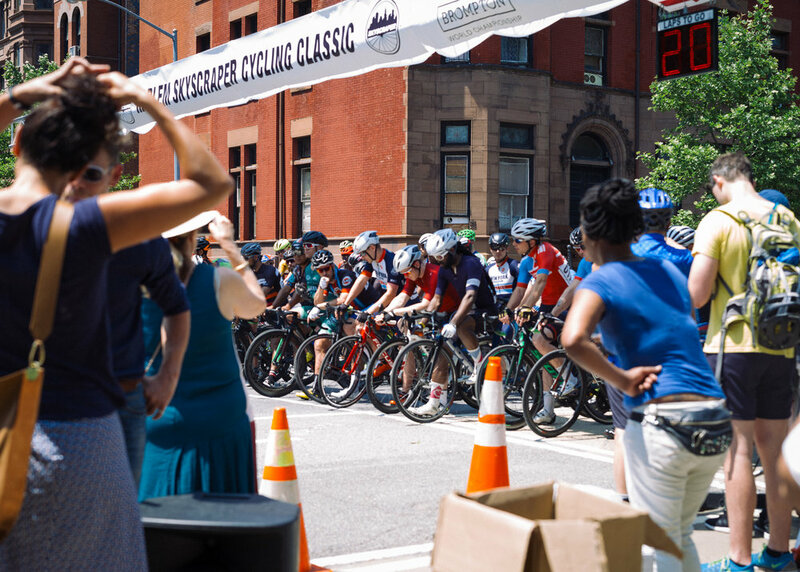 After 10 fast laps around Marcus Garvey Park 2016 BWC USA David Mackay out sprinted Victor Gras, who started the morning with a different style of racing in Central Park as part of CRCA club series, to take another win and with it tickets to London for the BWC finale. 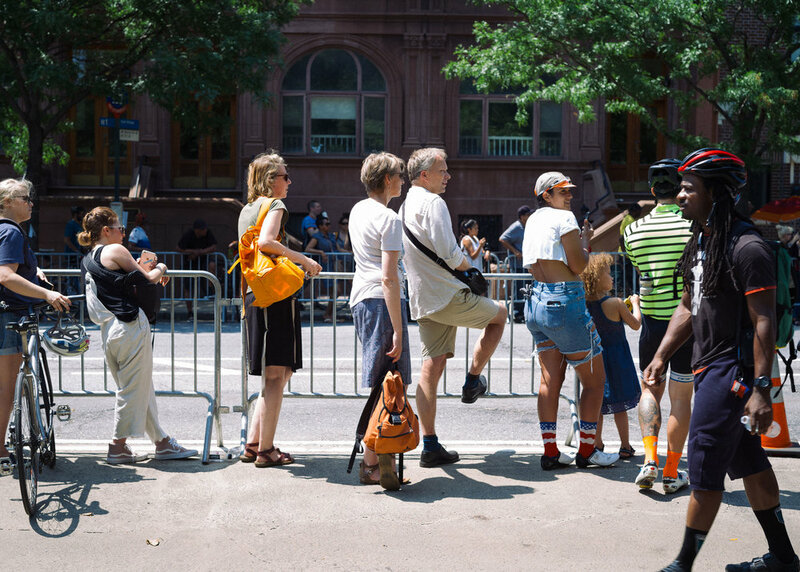 As an aside, we have recently been writing about some of the challenges associated with categorized racing in the United States - from prize money to demographics. 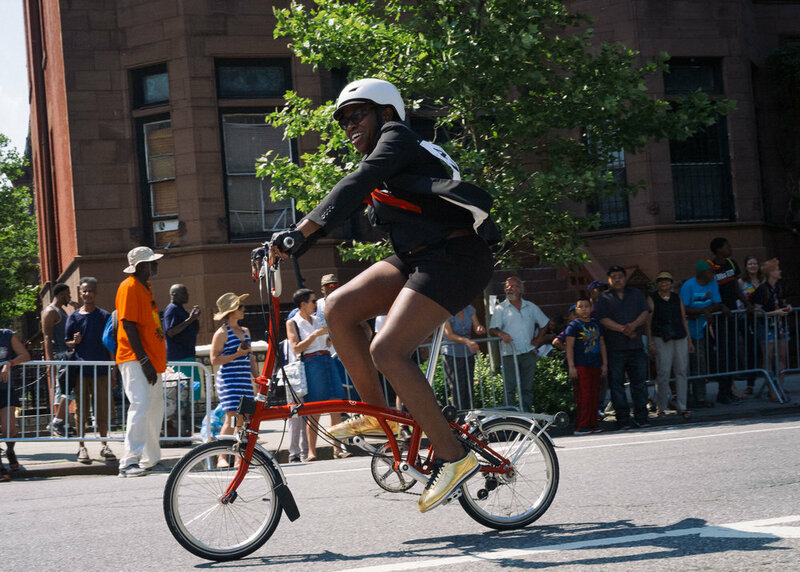 While the BWC isn't about to convert participants into road racers en masse and solve all of the sport's challenges it was terrific seeing an entirely distinct category of riders come out to participate in a longstanding event like the Harlem Skyscraper Cycling Classic. 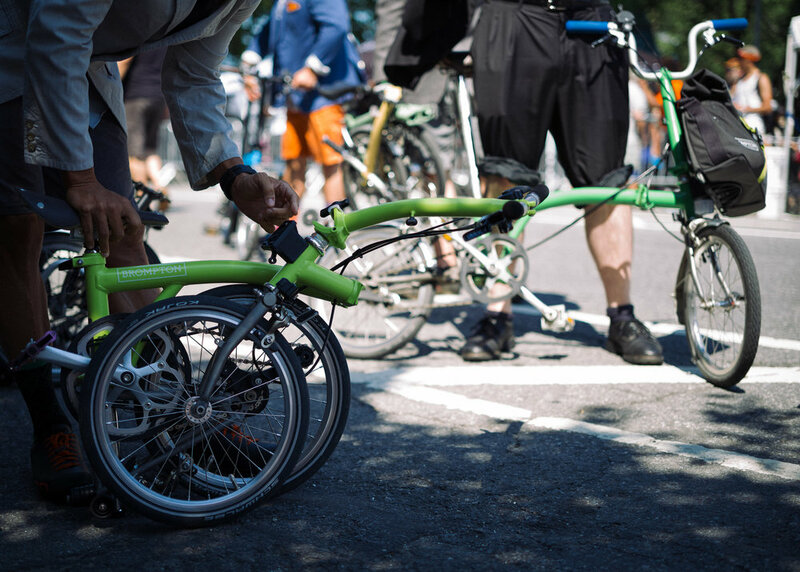 Bravo to Brompton for putting on a great event.